SIZE : 36x26cm (name: 23cm wide) 56x40cm (name: 36cm wide) 96x69cm (name: 62cm ..
You can apply this wall quotes decal in your children's room or living room. It will be a perfec.. This birch tree forest with a deer and buck are the perfect backdrop to set off your woodland nurser.. 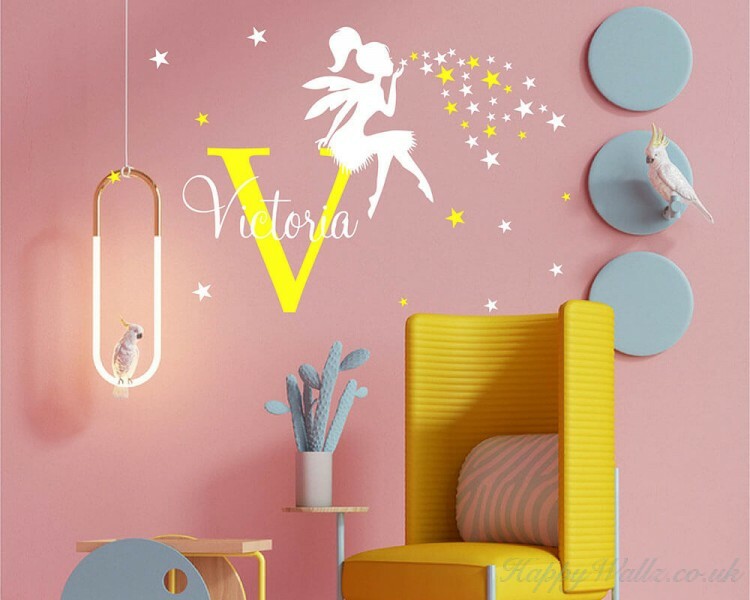 This custom name decal for nursery and kids room is personalized with your child's name with Fai.. This wall decal is an owl standing on an indicator, and inside the indicator you may have your own n.. This is an alphabet letters wall decal, and under the alphabet you may have your own name customised.. This wall decal is a kind of quote wall decal with the saying:"Live every moment, laugh eve.. 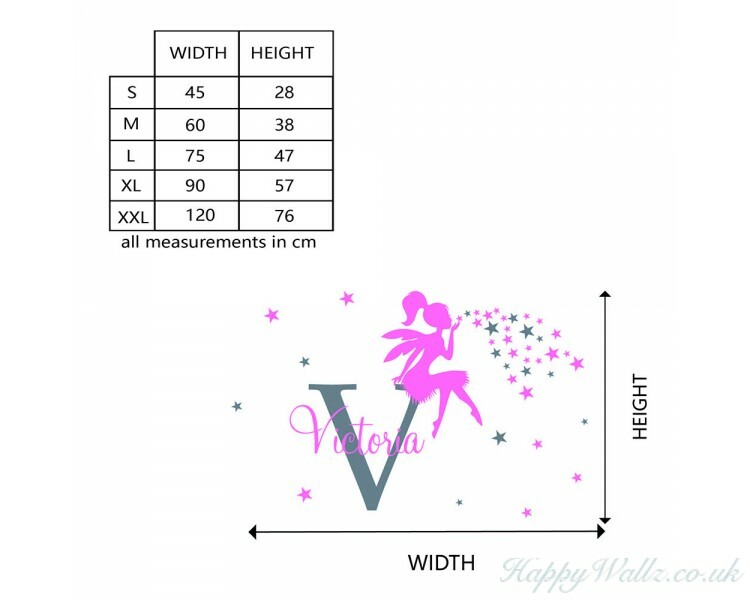 This wall decal is a kind of lovely princess flowers pattern wall decals in different sizes.You .. SIZE : Small - 36cm x 17cm Medium - 56c.. This wall decal is a kind of stripe pattern wall decals. It is very beautiful and have a sense of mo..
Love this!! It looks great and was so easy to apply. These decals are so great! We got them for our son's new room, it looks so cool.